Since 2002, Jeff Balin’s professional coaching approach has helped many of North America’s top executive social entrepreneurs increase their leadership effectiveness and impact on communities around the world. The key to this success is helping leaders leverage their vision, core values, strengths and intrinsic motivators to build highly aligned models of success for themselves, their teams and their organizations. 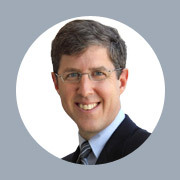 Jeff brings over 26 years of international business experience, a top-tier MBA and a passion for researching time-tested approaches that emphasize values-based achievement while adhering to achieving fundamental operating objectives. Please feel free to explore this website, or contact Jeff to arrange for a customized assessment of your needs.